Democratic Florida Congresswoman Frederica Wilson was born on November 5, 1942 in Miami, Florida to Beulah Finley and Thirlee Smith. Wilson learned the importance of community activism at a young age. Her father was a small business owner and civil rights activist who worked to promote voter registration in Miami’s black neighborhoods. After graduating from Miami Northwestern Senior High School, Wilson attended Fisk University in Nashville, Tennessee where she graduated with a degree in Elementary Education in 1963. That same year Wilson married an investment banker, Paul Wilson, with whom she had three children. While working as an elementary school teacher in the Miami-Dade school district Wilson earned her Master of Science in Elementary Education from the University of Miami in 1971. In 1980 she became principal of Skyway Elementary in the upper middle class black suburb of Miami Gardens. During her time as principal Wilson led a successful campaign to shut down an Agripost compost plant that was polluting the community and preventing the school children from playing outside during recess. The pollution also caused a mold problem at the elementary school. In 1992 Wilson resigned as principal of Skyway Elementary and ran for and won a seat on the Miami-Dade Florida County School Board. She served on the board for six years during which time she started the 5000 Role Models of Excellence Project. The project was established to help at-risk males stay in school. Since its founding the project has served more than 6,000 youth in 110 public schools across the state of Florida. It has also awarded over $5 million dollars in scholarship money to at-risk minority boys. In 1998 Wilson was elected to the Florida House of Representatives from District 104. She was appointed Minority Whip, a post she held until 2002, when she was elected to the Florida State Senate. There she served as both the Minority Leader Pro Tempore and Minority Lead Whip. During her time in the Florida Senate Wilson was known for her willingness to take on controversial issues and skillful development of bipartisan support to pass the legislation she sponsored. She teamed with Republican Governor Charlie Christ to pass a controversial bill which restored voting rights to ex-felons. She also sponsored the legislation which removed the Confederate flag from the Tallahassee State Capital Building and establishing mandatory HIV/AIDS testing for recently released prisoners. In 2010 Wilson defeated eight candidates in the Democratic Primary and token Republican opposition in the general election to become the representative for Florida’s 17th Congressional District. 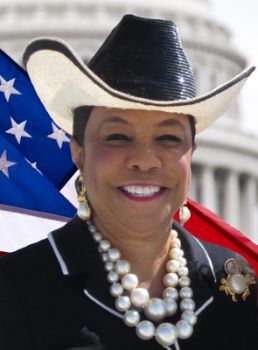 Congresswoman Wilson serves on the House Committee on Foreign Affairs where she focuses on U.S. global relations, especially with Haiti and the Caribbean. Wilson is also a member of the House Committee on Science, Space and Technology where she promotes job creation and providing more STEM (Science, Technology, Energy, and Math) funding for public schools.